Do you know who Eli Leon is? In the 80's he met Rosie Lee Tompkins at a flea market in Marin, and she invited Eli to her home in Richmond, CA to see her few quilts. He was already a quilt lover and collector before he met Rosie Lee, and had amassed about 100 Anglo-American quilts, but he had never seen quilts like hers before. 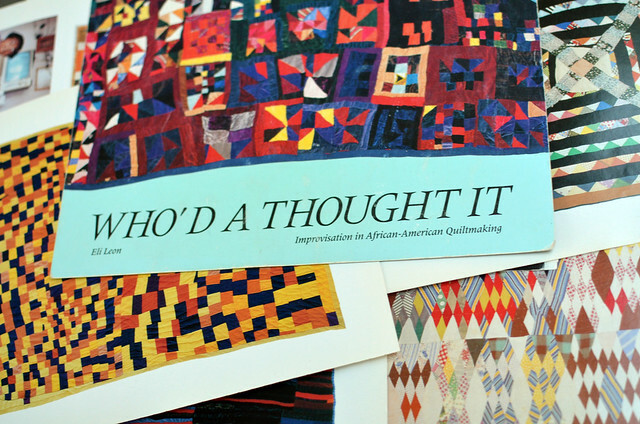 He now has over 1000 African-American quilts in the improvisational style from makers all over the country. 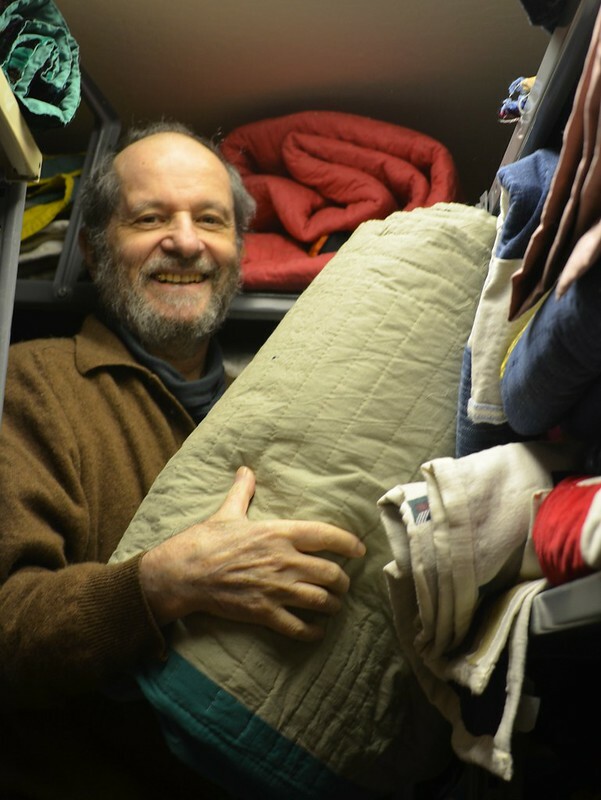 The image below is only a tiny sliver of one of four packed-to-the-rafters storage spaces in his quaint home in Oakland, where he keeps his collection. Imagine what it must be like to be surrounded by all of these folded and hidden treasures! I was practically drooling! 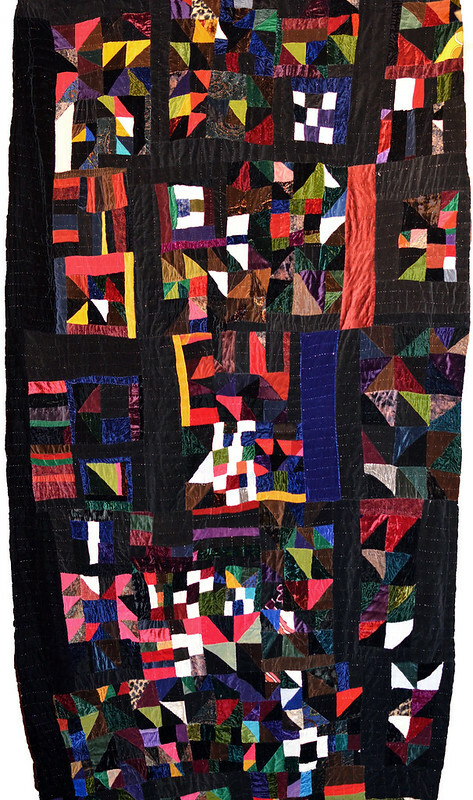 In the late 80's Eli took the best of his collection and pulled together one of the first exhibition of African-American improvisational quilts that toured the country and called it Who'd a Thought It: Improvisation in African-American Quiltmaking . I saw it in 1991 at the Ackland Art Museum at UNC-Chapel Hill, and it changed my life --I decided to become an artist. Over the years I have referred to the catalog so many times that the pages are falling out! Imagine my delight when I met Eli for the first time at the talk I gave at Stitch Modern, hosted by The East Bay Modern Quilt Guild in February. He had seen my quilts online and wanted to come to my talk, so his friend Stacy Sharman at Peppermint Pinwheels brought him. I had no idea he would be in the audience, but my presentation opened with properly credited images (thank goodness!) from Eli's catalog. After my presentation Eli invited me to visit him at his home to see some of his quilts. 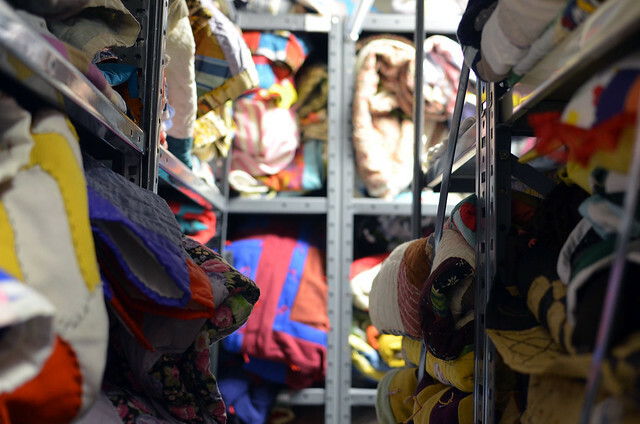 We started with a couple by Rosie Lee and then we went to his warehouse storage and he pulled seven quilts that HE had made.